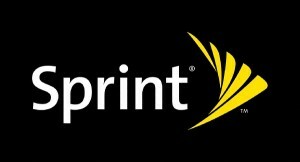 A deal between Sprint and T-Mobile may be moving forward now that investors in the companies have given their approval. While investors may be showing their support since the deal would boost Sprint’s power in the industry, any deal would still have to make it past regulators who are likely to challenge the move. Some analysts are giving the deal a very small chance that regulators will give the go ahead, but there are some that have stated that the deal may go through without much trouble. Of course, Sprint’s interest in putting up a bid for T-Mobile means very little if all of the parties involved are not on board. However, both carriers showed interest in a merger in the past, meaning that T-Mobile may very well be open to an acquisition. Analysts do agree that a merger between the #3 and #4 US wireless carriers would definitely make it more difficult for AT&T and Verizon to dominate the market but it is also possible that US regulators will see a combination of their networks as threatening to the industry’s balance. Japanese company SoftBank currently owns nearly 80% of Sprint and according to people familiar with the matter, SoftBank’s CEO Masayoshi Son wants to make a play in the US market, which could be the reason why Sprint is showing interest in acquiring T-Mobile. If the acquisition were to go through, SoftBank would inherently have more control over the US cellular industry as well. Macquarie Capital has speculated in a new report that for the deal to attain approval, it would have to allow for a new entrant in the carrier market. Macquarie did not actually name who the company could be but some are making the connection that it could be Dish Network, which has recently acquired radio spectrum licenses. It has been difficult for carriers to merge in the past, with AT&T failing to attain approval for its acquisition of T-Mobile in 2011. This deal may end up differently but T-Mobile and Sprint will still face many of the same legal obstacles that AT&T was forced to deal with.